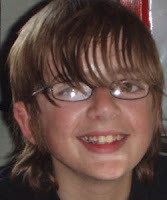 Many people know that our son Andrew went missing aged 14 in 2007 and we have been searching for him ever since. My wife would describe the experience of having a child missing from the family as like having a knife stuck in you; it hurts constantly and until you know what happened, it stays there, agitating the wound. If you only knew, even if it was knowing the worst, then the knife would at last be pulled out and the wound could begin to gradually heal. It would be less painful but always leave a scar. It is families like ours that are supported by the charity Missing People, both in practical terms through publicity campaigns and in emotional terms through support days and counselling services. Missing People started a fundraising campaign in Yorkshire using Glenys' and Andrew's pictures on 11th March 2013. Radio adverts, internet banners, newspapers, the Big Issue and other advertising spaces were used over a period of 3 weeks for this campaign. I decided to help get the campaign off to a flying start by being sponsored to dye my hair pink - pink because it is the logo colour of the charity. To begin with I added an incentive that if I had over £500 in sponsorship I would also shave one half of my head to look even more ridiculous. I am delighted that the total is now almost £1,000 and that Stacey's barber shop, where Andrew used to go, is helping me out with this. I have also painted the charity's phone number on my fingernails in pink. 116 000 is the free number that works anywhere in Europe if someone is missing. In the UK, Missing People gives advice and support. One of the things I really want to get across to people is to put that number in your phone address book and if you have children make sure they have it in their phone too. I hope you will never need it, but if someone you love is missing it could be a lifeline. If you are a young person and finding things tough and thinking about leaving, use that number to talk it through with a trained staff member or volunteer at Missing People. Many children and young people in particular who go missing end up being cold, lonely, hungry, frightened and abused - talking things through first could be all the difference to your wellbeing. It never crossed our minds as parents to talk about what to do if you are lost or feel you want to run away, so please get that phone number down. We always hope that any publicity about Andrew will perhaps be the thing that gets us news of what happened to him. We have never asked the general public for money to help. But we are asking now, not for ourselves, but for a charity that works tirelessly to reunite families, help people who are missing from their families and to support families like ours who are missing someone they love profoundly. We can promise you that the work Missing People do really helps and reunites many families each year. Please give, every little bit helps. You can text MUM1 to 70990 to give £3 (terms and conditions: donations cost £3 plus your standard network rate. Missing People will receive at least £2.67 of this amount . Or give any amount online at www.missingpeople.org.uk/mum. Or if you prefer to sponsor Kevin looking ridiculous, http://www.justgiving.com/Kevin-Gosden.